I have a fondness for these designs that has grown from my first glimpse years ago in England. We all think of and treat our dogs as human so here we get the chance to see them that way. A fantasy come true. 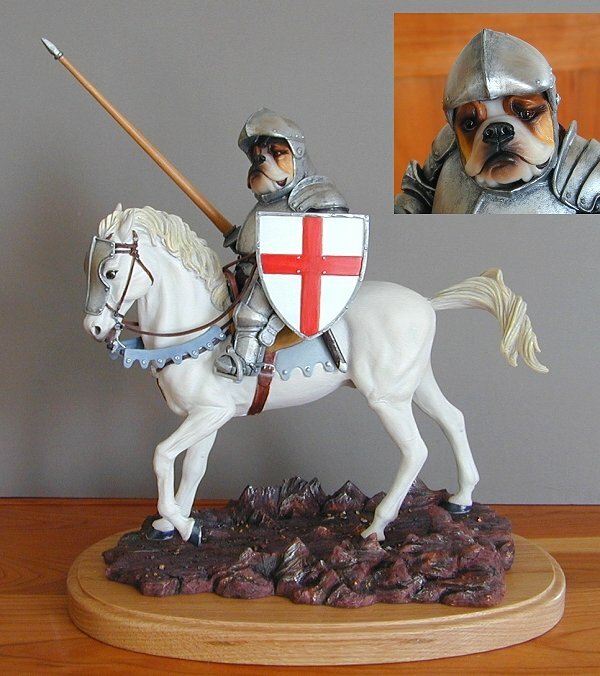 It's anthropomorphic engineering; its what we do better than anyone else in the dog figurine world. The personification of the many and varied breeds of dog in the world is our business. We like to think that our research of the human subjects and our knowledge of the chosen breed of dog give us the magical 'double take'. 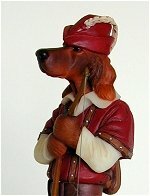 The large Doggie People by Robert Harrop are no longer in production. Their claim to fame is their size as the smallest is 14 inches high while the largest is 18 inches high. 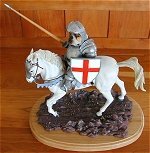 For the lover of Robert Harrop sculptures it doesn't get any better than this. 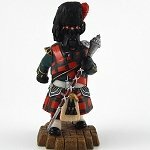 Each figure produced in a limited edition of 750. 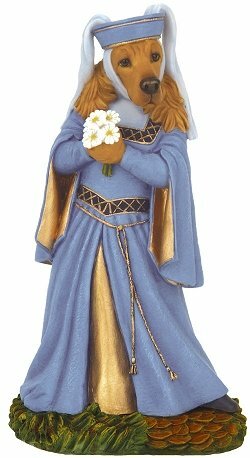 Figure is 14 inches high. We have 3 pages of Robert Herrop Doggie people. Click HERE to be taken to the next page. Robert Harrop Little John Old English Sheepdog. 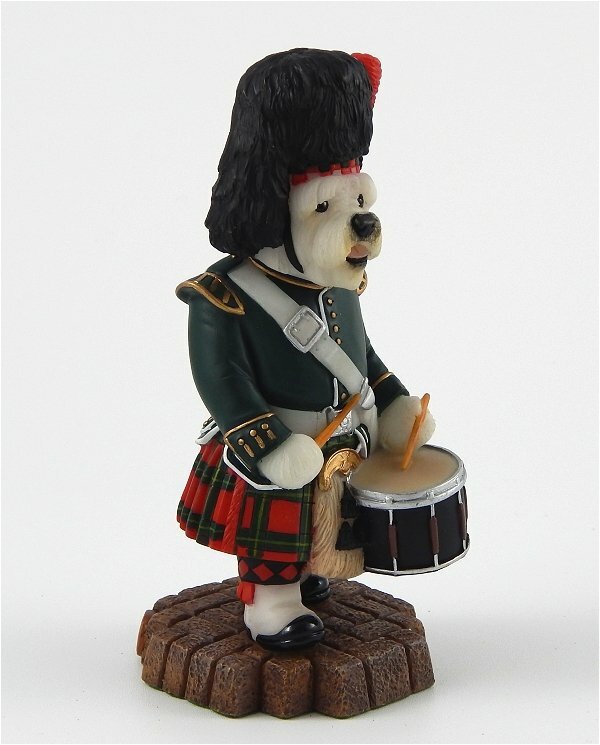 Robert Harrop Drum Major Scottish Terrier. 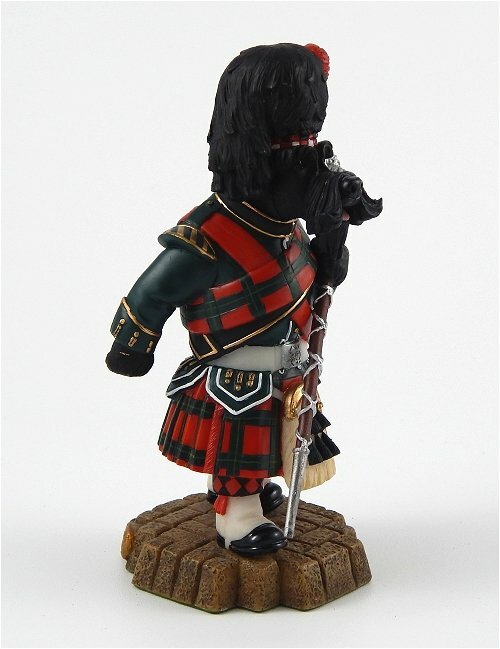 Ready to lead the way for any pipe band he finds this Scottish Terrier is completely decked out. 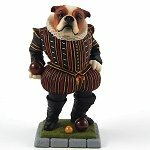 Robert Harrop Bull Dog Sir Francis Drake. Legendary English sea captain who sailed the globe is here seen in a quieter moment with his lawn bowls. 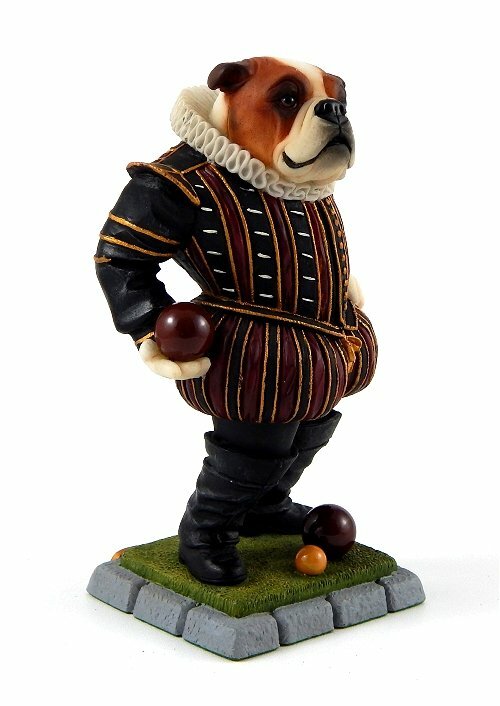 A must-have for the avid collector, the Bulldog Sir Frances Drake figurine is a member of the Doggie People collection. Robert Harrop Westie playing the bagpipe. Alert, gay, courageous and self-reliant, but friendly or so the Kennel Club would like him to be and I think this figure does the breed justice. 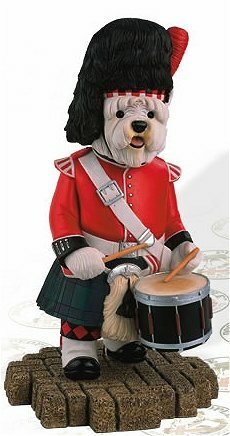 Robert Harrop Westie playing the drum. 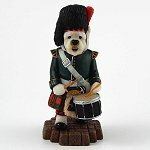 Our cute westie drummer is setting the beat in this piece.